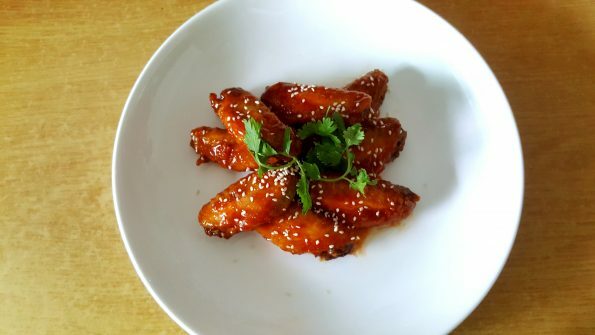 Enjoy sweet and spicy Korean fried chicken wings with this recipe. Place the chicken wings into a mixing bowl. Add salt and oil. Mix well. Leave the chicken wings in the fridge for 24 hours. Add corn flour into the mixing bowl, coat the chicken wings with corn flour evenly. Preheat the air fryer at 180C for 5 minutes. 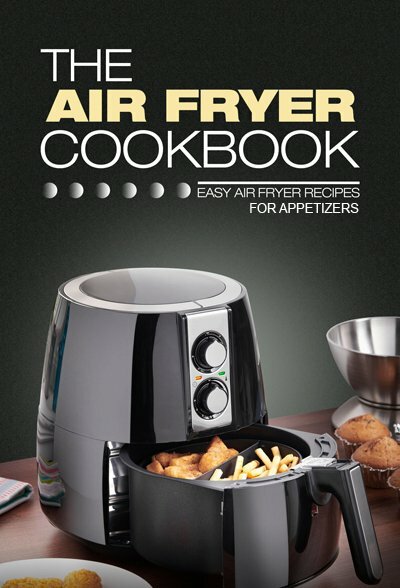 Place the chicken into the air fryer. Cook for 20 minutes. Turn the chicken after 10 minutes. While chicken is cooking, in a medium pan, add brown sugar, ginger, garlic, Soju and Gochujang. Stir the mixture on medium heat until it turn syrupy. Pour the sauce into a bowl over a sieve. This is to remove the residue. Place the chicken wings into the sauce and coat them evenly.